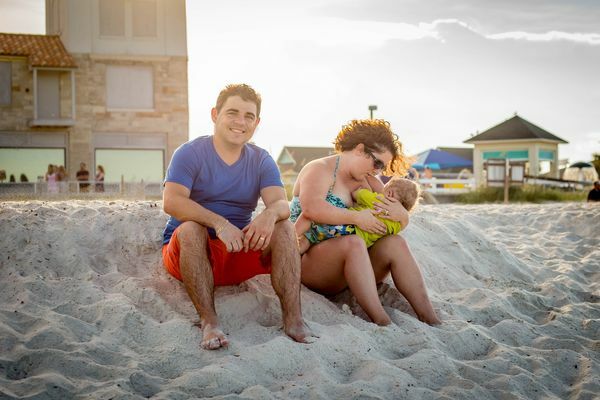 Photographer and mom of three Megan Soto has spent three years taking pictures of nursing moms for the Public Breastfeeding Awareness Project. 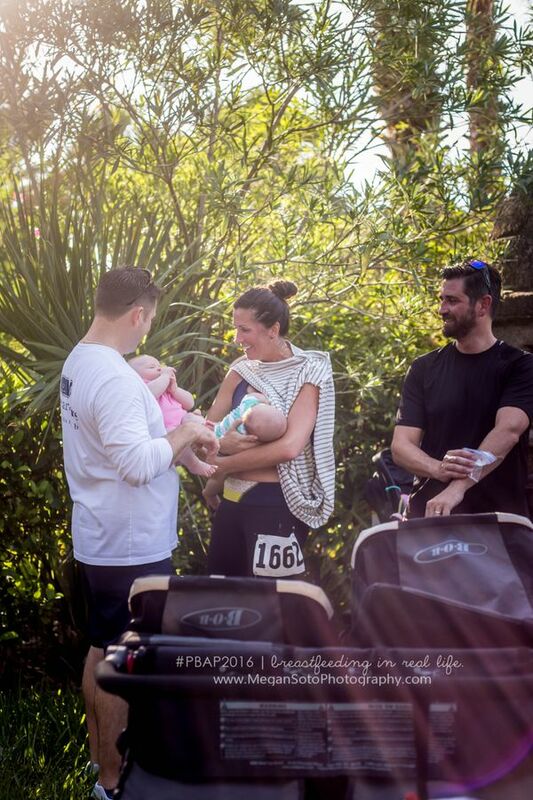 But she only recently discovered an important part of normalizing breastfeeding: dads. 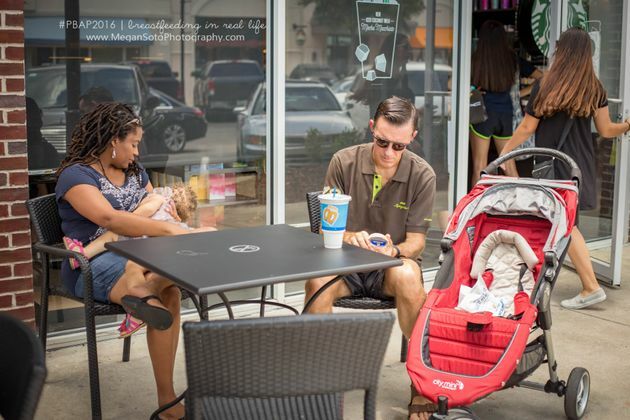 Soto’s latest photo series showcases supportive dads in public alongside their breastfeeding partners. 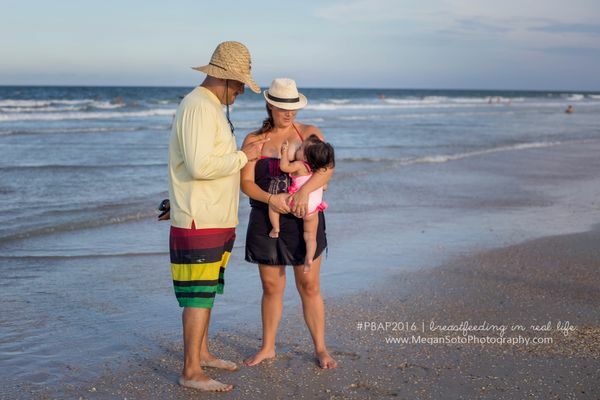 Each image comes with a caption about breastfeeding from the featured dad. 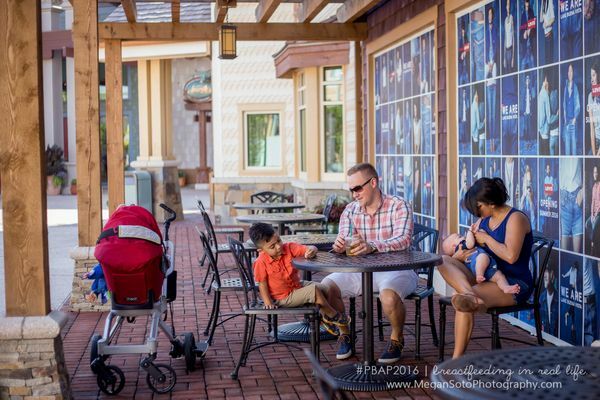 The photo shoot experience was very eye-opening for some of the dads, who had never seen the stares and pointing that breastfeeding moms often face while nursing in public. 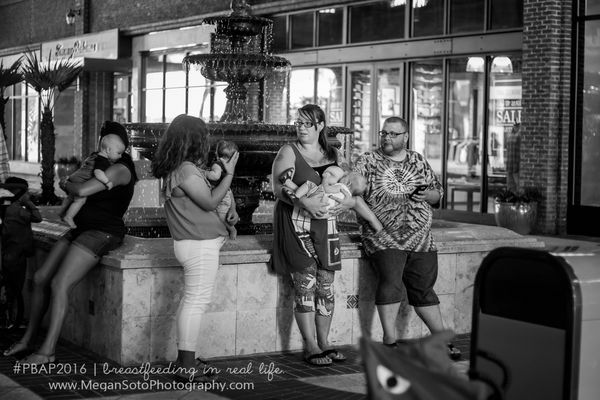 Soto hopes her series will foster more awareness about breastfeeding among men, while also empowering moms something she wishes she’d had back when she was nursing her first child and feeling very lost. 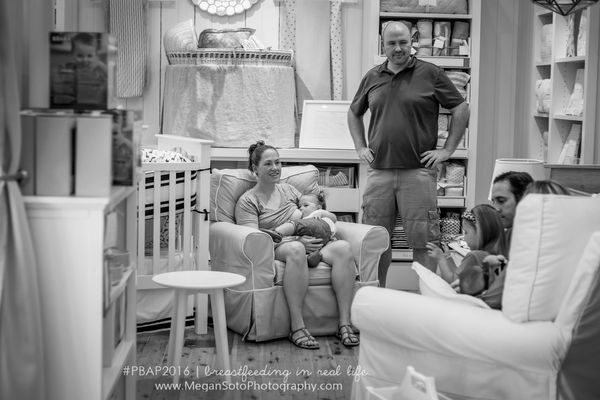 Keep scrolling to see more of Soto’s photos of dads supporting breastfeeding mamas and their thoughts on the experience. 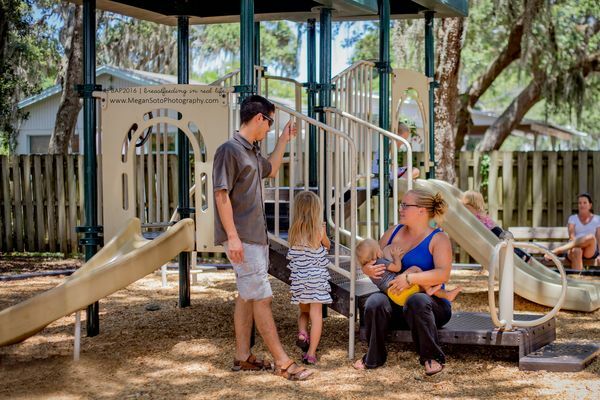 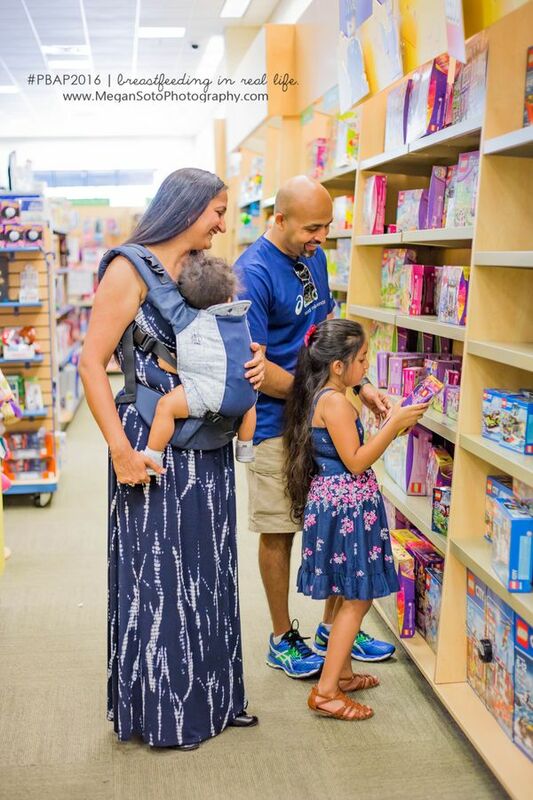 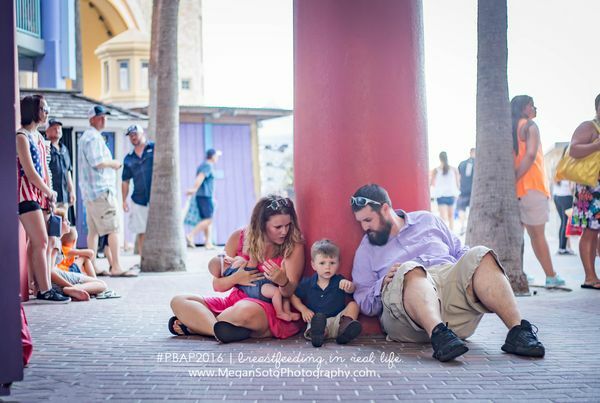 “At first I was nervous about the whole idea for breastfeeding in public. 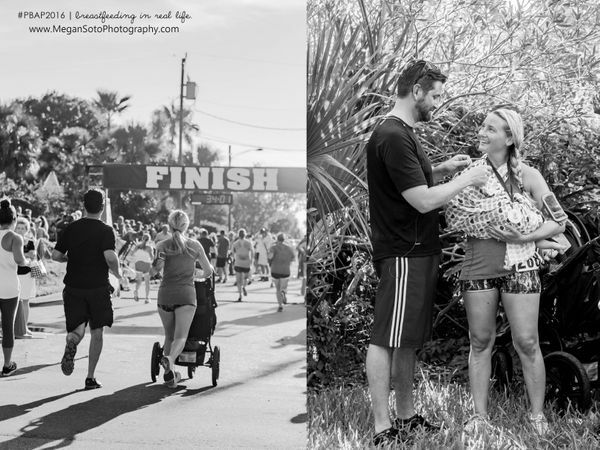 I was so concerned about what people would say. 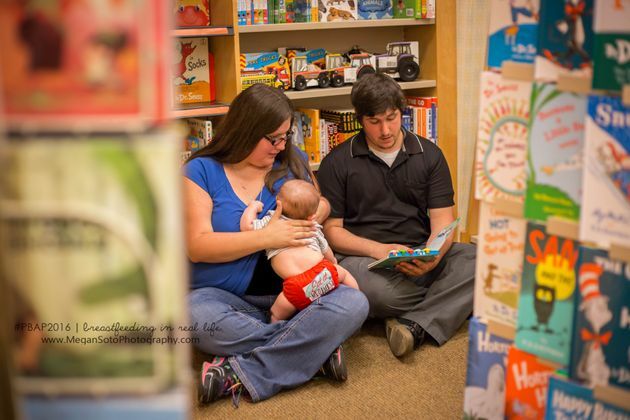 But I’m glad I have a smart wife who loves to research everything and we found out that it’s OKand legal to breastfeed anywhere. 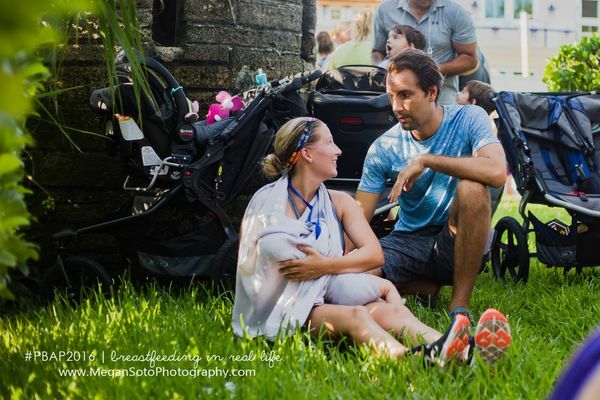 That made me feel much better, but what made me support her even more was that breastfeeding is the best food for babies and as a father I want the best for my baby girl.” — Jonathan S.